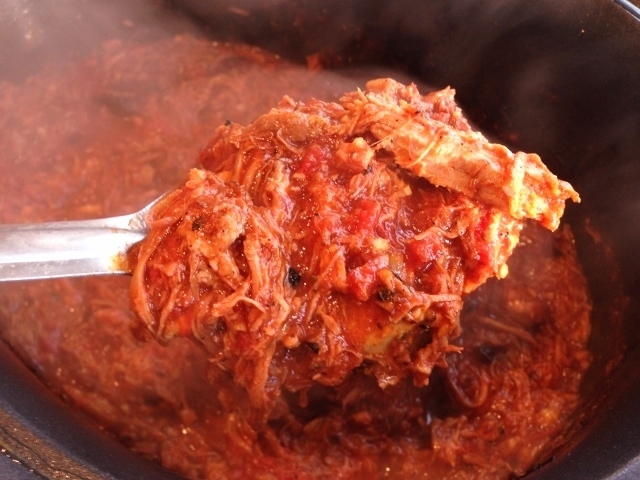 Slow-Cooker Pork Sugo - Recipe! - Live. Love. Laugh. Food. 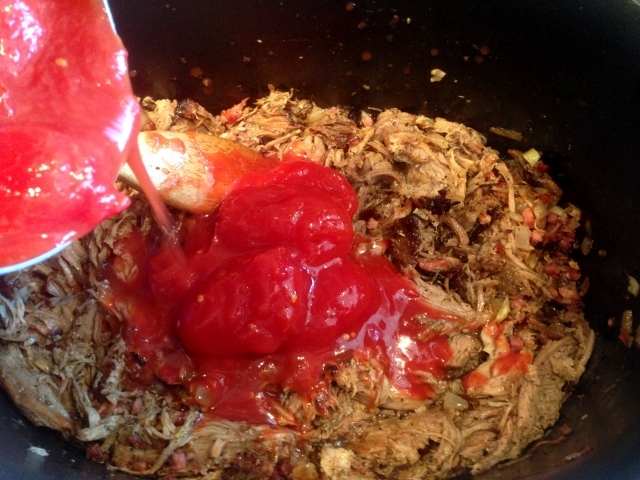 Slow-Cooker Pork Sugo – Recipe! Pork shoulder is a cut of meat that is slow cooked in the oven until it melts off the bone and is most often prepared on the weekends when you have a little more time on your hands. My recipe for Oven Roasted Carnitas is perfect to serve on occasions when you have a few more people over and makes great leftovers for during the week. Leftovers are always a nice thing to transform into an entirely new dish, especially this Pork Sugo recipe. 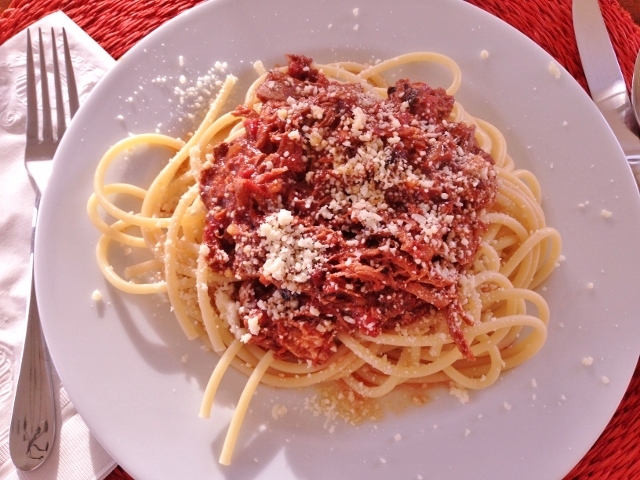 The extra meat can be added to a slow cooker with a few Italian ingredients to make the best sauce you have ever tasted. The slow cooking process adds enough time for the pork to absorb the tomatoes, herbs and spices that this dish becomes something authentically delightful – Mama Gina’s favorite. If you don’t have time to prepare a large carnitas roast, you can purchase already cooked pork shoulder or carnitas meat at some grocery stores and at Trader Joe’s. This succulent sauce is easy to make in the morning right before leaving and when you return, your house will be filled with the most incredible aroma. This is one recipe you will make over and over again. 1. Dice onion and add it to slow cooker insert or stove top pot with 2 tablespoons of olive oil. Place insert over medium heat and add diced Pancetta, stir. Saute onion mixture for 5 minutes. 2. Mince garlic and add it to onion mixture. Sprinkle 1 teaspoon salt and pepper over onions and continue to saute for 2 minutes. 3. Remove pork from refrigerator and add it to onion mixture. 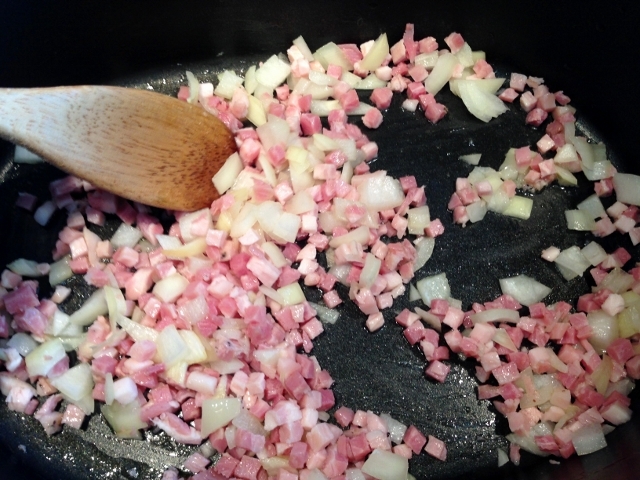 Pork will slowly reheat by stirring together with onions and pancetta, about 7 minutes. 4. Add Italian seasoning, tomatoes and paste, stir. Gently break apart tomatoes with a spoon, while continuing to stir. Cook sauce for 5 minutes. 5. Add red wine and sugar to sauce, stir. Continue to cook for 8 minutes, until slightly reduced. 6. Place slow cooker into heating element and set on low for 5 hours 30 minutes or up to 8 hours. If you are cooking it on stove top in a regular pot, turn heat to simmer, and continue to cook for 3 hours. 7. Taste sauce for salt and pepper and add more if needed. Serve sauce over pasta or spaghetti squash with a sprinkling of Parmesan cheese. Enjoy! 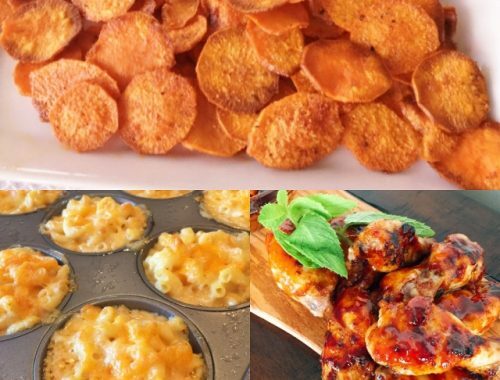 Social Sundays, Game Day Appetizers – Smoky Baked Sweet Potato Chips, Buffalo Macaroni & Cheese Cups, and Grilled Korean Hot Wings! 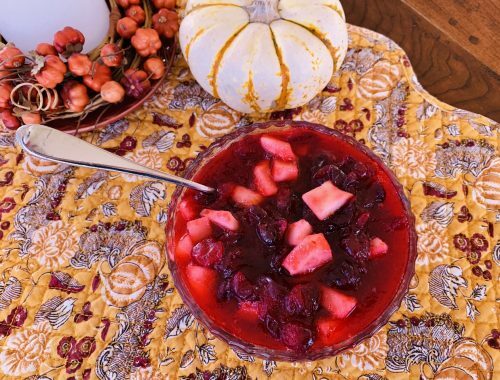 Cranberry-Orange Sauce with Fresh Pear – Recipe! 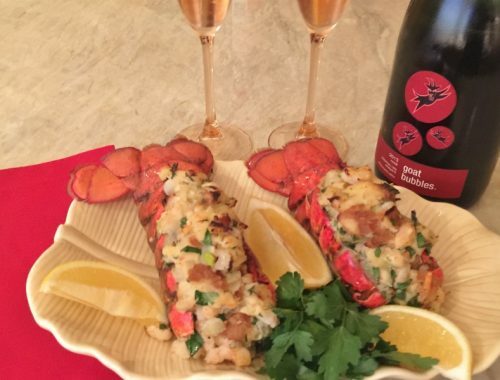 Stuffed Lobster Tails – Recipe!